“What a privilege it is to be in ministry with you at Living Word as your new pastor. It has also been a joy to transition into this position alongside Pastor John Butchko throughout October. 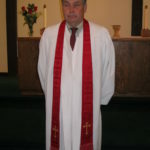 As Pastor John has shared with you, we served together at Brunswick United Methodist Church beginning in 2008. I can honestly say that serving alongside Pastor John was one of the most enjoyable times I’ve experienced in the ministry. 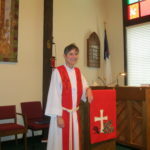 Like Pastor John, I am also an ordained elder in the United Methodist Church and have served as an ordained pastor since 1996.l I have served churches in Minnesota, Missouri and Ohio. 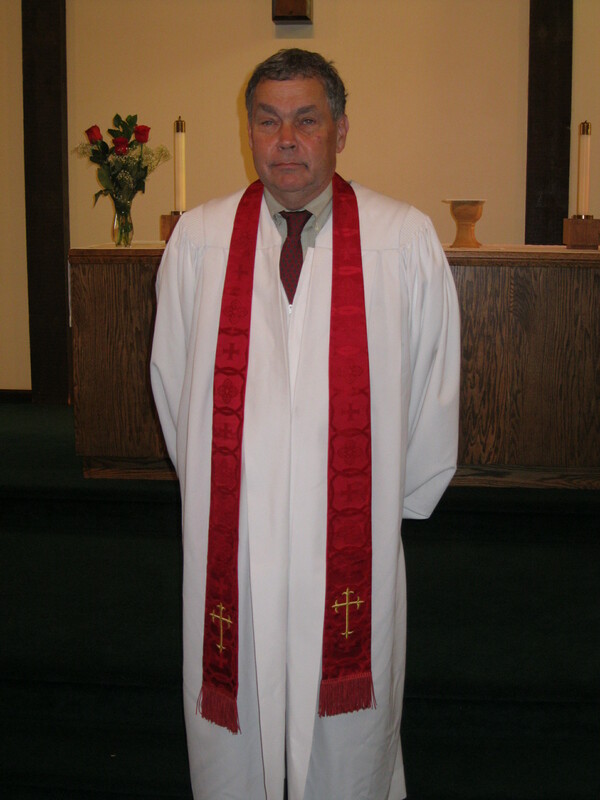 Most recently, I served as the interim pastor at St. Paul ELCA Lutheran Church in Sharon Center. I truly enjoyed serving at St. Paul and seeking to help them move forward and call a full-time pastor. My husband, Gary, and I have been married 29 years and have been blessed with six children: Danielle, Nicole, Joshua, Isaac, Emily and Elijah. We are also blessed with our son-in-law, Jacob, who is married to Danielle. Our four oldest are in college, post graduate and undergraduate, in various states. So, we have two at home: Emily, who is in 10th grade and Elijah, who is in 7th grade. Our family moved to Medina from Nevada, Missouri the day after Christmas in 2007. Our move was a job change within the 3M Company – the company Gary has worked at for nearly 28 years. Throughout our time in Ohio, I have served churches in Brunswick, Montrose and Sharon Center. So as we all move into this new chapter at Living Word, I am excited; excited to discover what God has in store for Living Word and how God desires to work through all of us. I look forward to getting to know all of you, but more importantly, how God desires to send us forth to share the Good News of God’s love – together. I am grateful to Pastor John for the great works of ministry he has done at Living Word and how he has been very intentional about making this transition as smooth as possible. I am also grateful that Pastor John is willing to come and lead worship from time to time. John is a great pastor, colleague and friend. I encourage all of us to thank Pastor John for his ministry while at Living Word. Thank you, again, for the opportunity to serve as your pastor – it is truly a privilege. I do not mind reading newsletters. I do not enjoy writing newsletter articles. So, I am happy to write this one. Next month there will be no deadline. I am happy that the task will be for someone else. I am also very pleased that it will be Pastor Elizabeth Hadler. The plan is for her officially to become the interim on October 15, although she and I will share many duties beginning October 8 and continuing through October 29. 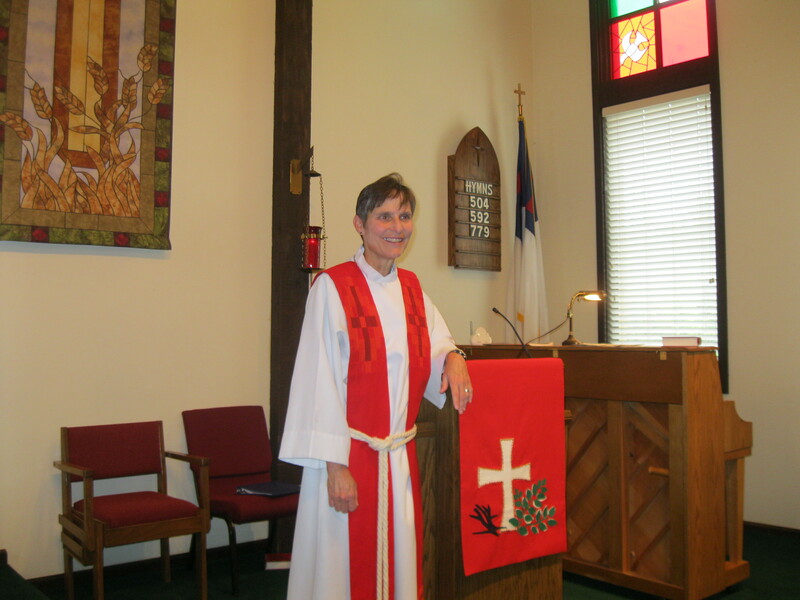 Pastor Elizabeth is a United Methodist Pastor on family leave. I have known her and her family since they moved into the area about 10 years ago. We served together at the Brunswick UMC for a couple of years and I have the highest regard for her. One person, somewhat joking, said maybe we should become a Methodist Church. I would say no. Whereas giving a tithe of general income to the synod is considered fair and maybe even generous, in the United Methodist Church, it would not be enough. You would get a bill each month. There is no perfect system, but I have found there to be many positive aspects of the ELCA. There are also many positive aspects of Living Word and the future that is in front. We have learned this summer in the Psalms of the God who is filled with mercy and compassion to all. Tell the community. Tell the world. At 8:20 p.m. on the last 4 Wednesdays of August we will meet outside, protected by citronella lamps and have gentle discussions about spiritual things. This will be an outreach event and the purpose is to ask people what they believe and not necessarily tell them what the answer is . . . . . .
Two things concern me about doing this…..one is that nobody will come. The other is too many people will come and there may be too many questions and I won’t get home until past midnight. This I am putting at the end just to see if you read it: With deep appreciation to all, I have chosen to end this very fulfilling tour of duty at Living Word on October 31st. I will not forget you and will stay in touch after that. What does success look like? This was asked at a recent congregational meeting. In baseball, to a hitter, it is getting on base or moving the runner closer to scoring a run. If you are a pitcher, it is getting the batter out. A church should be a people who help other people encounter God or the Holy. A church should be a people that seek the presence of Christ and obediently respond. One pastor told me years ago, a church needs to brag about Jesus. I am stuck on the hymn, “There is a Balm in Gilead.” If you can’t preach like Peter, if you can’t pray like Paul, then tell the love of Jesus. How many people each week hear of the love of Jesus via Living Word Lutheran Church? That might be what success looks like. These two verses offer us a perspective. Jesus stays the same, but we are to become new. It is true for individuals. It is true for congregations. There are two non-scripture statements that I have often heard and perceive to be true: 1. There is nothing ne can do to make God love us any more, nor is there anything one can do to make God love us any less. 2. God loves us just the way we are, but loves us too much to let us stay that way. In all these phrases there is a declaration of the dependable nature of God and God’s desire in Christ to make us new. There is also an implication that it is not always about us, but perhaps our paying attention to God might make the biggest difference. God is leading! Are we following or just staying put? Merciful God, we confess that we have not loved you with our whole heart. We have failed to be an obedient church. We have not done your will, we have broken your law, we have rebelled against your love, we have not loved our neighbors and we have not heard the cry of the needy. Forgive us, we pray. Free us for joyful obedience, through Jesus Christ our Lord. Amen. It is probably a good blend of traditions. I have always been struck with the concept of the church failing to be obedient. This especially came up on Palm Sunday when the reading was from Philippians 2:5-11 when it speaks of Christ being obedient even unto death, death on a cross. How would a church be obedient even unto death? A church dying is a horrible idea. But how about a church resurrection? Would that not be glorious? There is only one way to get to resurrection and it is through the path of obedience. Obedience is difficult because we want what we want. Plain and simple, churches are made up of people and we like to do things the way we like to do things. It is hard to imagine asking God, “what are you calling us to be and do?” And then listening before we start telling God what God wants. Am I clear? As we approach Easter, as we keep our focus on Christ, as we ponder the sacrifice made on the cross, we must not forget the women. The women on the first day of the week went to anoint the body of Jesus and as they journeyed toward the grave, they wondered how the stone would get moved. (Mark 16:3) The very next verse tells us that when they got to the tomb, the large stone had already been moved from the entrance. One could focus on the women’s question of who would move the stone, but perhaps the better reflection is to point out the women were in the midst of doing what they should. They were doing the appropriate thing to prepare the body for burial and in the midst of that they were the first to discover the empty tomb. We often do not know what to do? We often choose to be paralyzed by the options and the not knowing. We can easily sit at home and do nothing because we do not know or we can go out and do something that seems appropriate. The Easter story can be understood that as we do what we think is faithful to Christ, faithful to God, God is already working. Even when we have questions, God is capable of answering. Even when our questions are out of touch (who will move the stone?) God’s desire is to faithfully work in us. So, get off the couch, listen to the living God and seek to act trusting that God is working. The season of Lent is upon us. The most scriptural aspect of this time, often devoted to self denial, is in the concept of 40 days. The gospels record Jesus spending 40 days in the wilderness and it rained in the days of Noah for 40 days and nights. Forty days is neither a short time or a long time. Some modern scientists estimate that it takes 21 days to form a new habit which means that we have the opportunity to establish two better habits during the coming 7 weeks. What would happen if we tried our best without telling anyone what we were seeking? If we sought no one’s approval? Invited no one to pass judgment? Between now and whenever, you, a solitary individual, endeavor to seek your creator’s help to improve in whatever ways the two of you decide. We know February contains Valentine’s Day and that day is about love. It is about both romantic and family love. God is about love. The church is about love. The church’s love is family type love but it is also God’s type which is self-giving or sacrificial love. Where I believe it gets complicated is that giving of ourselves is in our best interest. When we let go of self-interest, it is in our best interest. When we seek to build a welcoming community, we all benefit. When we find the way to be appropriately generous, we benefit. But if we think we can outwit our creator, we will fail. God wants our hearts, our minds and our wills. When we go beyond our apparent self interest our deepest needs are more than met. Love changes everything. Just in case you wanted a longer note from the pastor than Happy New Year! A slogan for the ELCA is “always made new.”: What does that mean? One might prefer “always staying the same” or being made new but just like we have always been. What might it mean to imagine being made new? A friend was asked by someone at the mall “have you been born again? Their response “again and again.” A church consultant says “you do not have to change everything!” We have made some changes in 2016. We purchased new hymnals. Did it change everything? We have a new exterior look. We have added outdoor lighting. Did it change everything? Perhaps a visitor will be attracted and will decide to be a part of the community. Perhaps an old friend will see the new look and return home. Perhaps one member will see their church and faith more fully. May we be continually made new by God’s Grace. I feel the need a couple of times a year to remind people that I received a Master’s Degree with Distinction from one of America’s greatest universities. And even though this is true, I am surprised what a simple mindset I possess. At the present time part of my simple mind says there are two seasons. Season of increasing light and the season of decreasing light. We are just about at the end of decreasing light for the northern hemisphere. It also means it is just about time for the beginning of increasing light. Christmas is the start of increasing light. Light is a great equalizer. The whole earth gets just about the same amount of daylight hours. We tend to think of light as always good and darkness as bad in a spiritual sense, but in reality they both have their part. Let us use what each day presents us to tell of God’s great mercy in Christ. We will be busy, but might we also be productive. On September 10 there will be a golf outing and on the 11th we will have God’s Work. Our Hands. That evening there will be a service of Prayer and Praise that will offer to bless the fire, rescue and police of the area at Holy Trinity in Brunswick. On Sunday, September 25, in the evening there will be a different type of event. It will be sort of church, sort of engagement. A solo dueling piano player will be present. It will be high energy and fun. We hope to invite back families with children for this event as a means of saying we still consider you a part of the larger community of Living Word. This will also be a trial to see if this is something we might like to invite our neighbors to at a later date. October 16 will be our 35th anniversary celebration. November 6 is Election Day and we will seek to engage the community and invite them to upcoming events including another dueling piano event and Christmas Eve services. The message we hope to convey is that God is a very definitive help in our livwes and that the people of Living Word are pretty good folks to hang out with and to journey in life with. We will be busy. Pray that we will be fruitful. This is the first time in the history of Living Word Lutheran Church that a Cleveland sports team is champion of a big time professional sport. Think about what that means. It will change everything. It has changed everything. As wonderful as it is and it is pretty amazing, it really is not all that important. There are words that have been used that are important witness, redemption and forgiven. The word king is used. Even sometimes King James. It is used with a rather cavalier attitude. I enjoy sports, maybe even love them. But every Sunday the worship service at Living Word and other similar churches do witness the forgiveness of God and experience the presence of Christ. We not only see but are invited to taste and see. What God does at the corner of Hamlin and Hamilton is important and what God can do for those who have not yet come to church is of the utmost importance.